As State Treasurer, Ken served on more than a dozen state government boards and committees, acted as one of the State’s four bond issuing officers, and was frequently assigned to ad hoc task forces dealing with financial matters. In those roles, he extended the platforms to which he applied sound fiscal stewardship in forecasting State revenues with transparency, delivering employee healthcare benefits with certainty and advocating for efficiency measures for agency operations that promote accountability. Ken also sought to advance strategic reforms for the body that forecasts the roughly $4 billion in state revenues and expenditures (DEFAC) and the committee that determines nearly $1 billion in healthcare and other fringe benefits for state employees (SEBC). DEFAC’s mission has remained unaltered for almost 40 years, but a more volatile set of revenues and the possibility of a new budgeting architecture require this council to reinvent itself to meet new challenges. Likewise, the SEBC, needs to adopt a more strategic perspective to rein in unsustainable healthcare costs while ensuring high quality care for state employees. Another major focus of Ken’s committee work centered on shaping the mission and identity of GEAR, the Government Efficiency and Accountability Review Board. Created in 2017 by Governor John Carney, GEAR represents an ambitious and ongoing effort to emphasize strategic planning and measure improvement across state government. Ken offered concrete proposals for framing GEAR’s overall mission and served actively on subcommittees to engage private sector partners to solve public problems and consolidate and share financial services across state government. Finally, Ken supplied both the board that seeks to preserve agricultural lands for farming and the council that provides subsidized capital funding to volunteer fire companies with strategic options to reframe their missions and achieve higher levels of operational success. In the former case, erratic funding patterns and a failure to secure high levels of matching funds have impeded the success of the Agricultural Lands Preservation Trust. 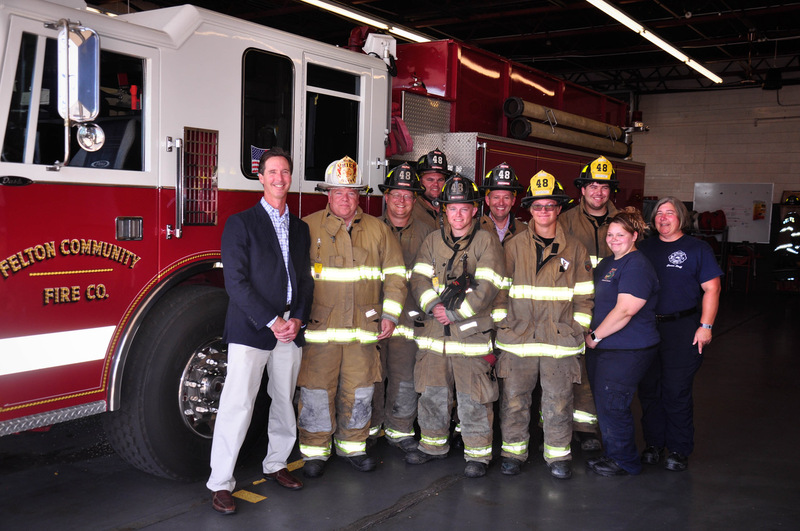 In the latter case, the Council On Volunteer Fire Service has not been able to grow its revolving loan fund and has struggled to offer meaningful financial assistance to companies in the low interest rate environment that has persisted for many years. Keep up with Ken on social media.